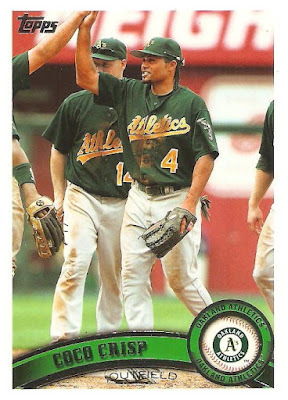 Who's ready for more Topps test issues? 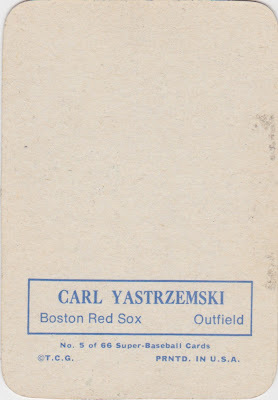 Finally found a proof scan for this obscure and pricy Stand-Ups set on eBay last week and its #5 type card features a guy New York fans know best as a member of the 1969 Miracle Mets. Stand-Ups rank as the rarest non-standard 1967 Topps issue, behind comparatively plentiful 5"x7" Pin-Ups (set profile) and peel-off stickers for two teams (Pirates and Red Sox set profiles). 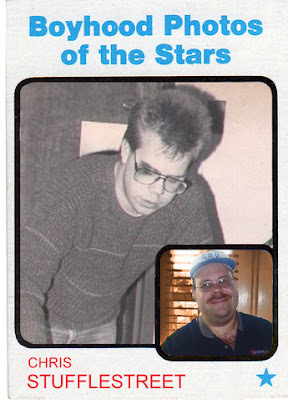 It's hard to find much info about their production process, as it's almost certain they never saw life outside of a Topps print shop. Robert Edwards Auctions sold a few 1967 Stand-Ups over the years, both of uncut proofs like the scan above and some thicker, rarer die-cuts. Their $41K auction for 12 die-cut versions included this set commentary. "Rarer and more desirable [are the] thick die-cut variety, which is the form in which the cards were actually intended to be issued (as opposed to thin proof cards cut from sheets). 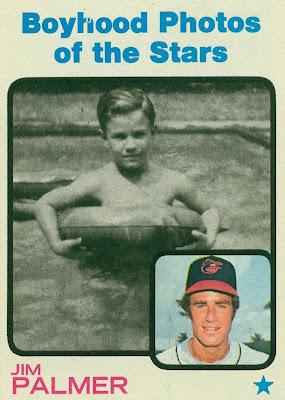 1967 Topps Stand-Ups are one of the rarest and most intriguing of all 1960s Topps issues. 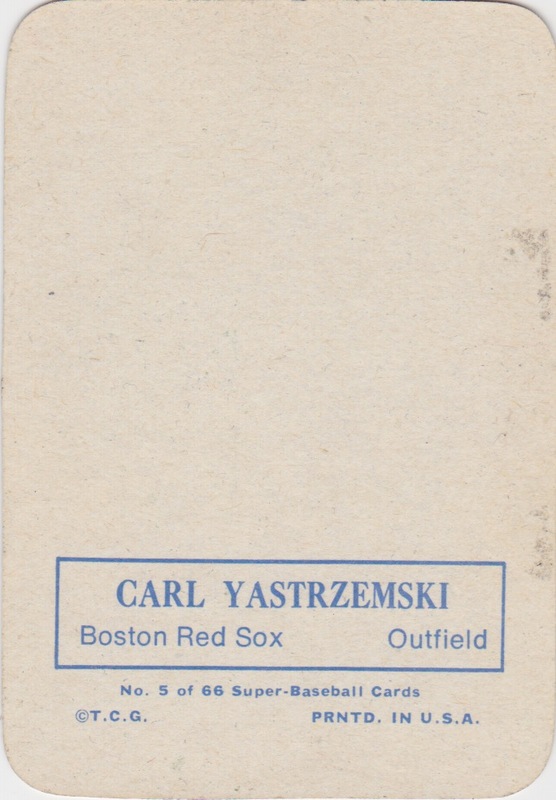 It is almost certain that these cards were never issued to the public, and their astounding rarity is consistent with this speculation...the cards were produced on one-quarter inch thick cardboard stock which has been die-cut punched. The design allows the player's head to be punched out of the black background. 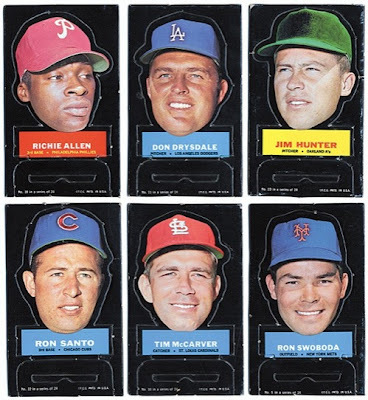 Additional small punched-out pieces along the bottom of the card, when properly used, were intended to allow the player's head to stand for display." In other words, pick die-cut over "plain" proofs when you're sifting through those 25-cent "test issues" boxes at card shows! This group scan from the auction illustrates the die-cutting, punch-out "head stands," and some amazing teeth on Don Drysdale. Its full checklist includes 24 floating heads. UPDATE: Here's how the stand separates from the frame. You then insert a player plaque into its center notch for creepy, floating head display. Value: eBay seller Irishhosta listed the #5 proof for $2500 on eBay, the first time I've seen it outside of an auction house. (Their lot went unsold.) 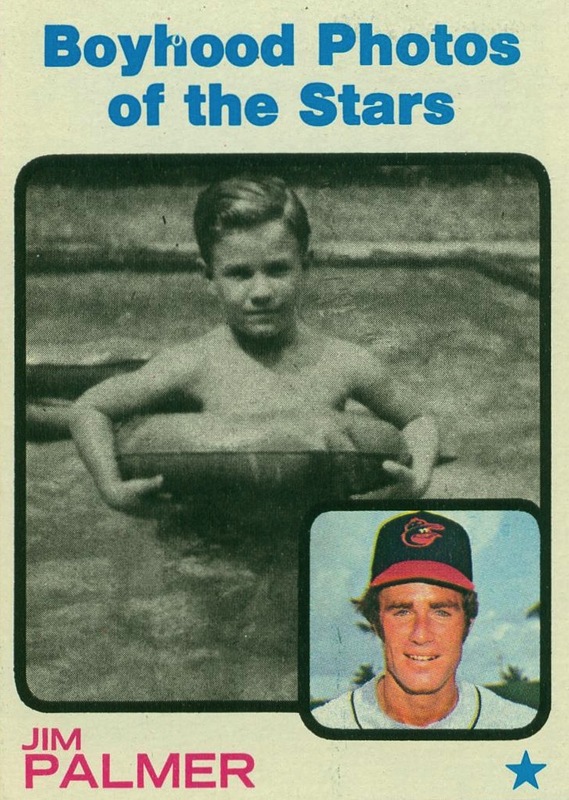 Choice quote from its listing: "No major grading company has ever professionally encapsulated a single specimen of Ron Swoboda." I vote we keep Mr. Swoboda in one piece, thanks. Fakes / reprints: Haven't seen any fakes in the market, but they're so valuable and simple in design it's possible they exist. I recommend buying from dealers who are willing to guarantee the purchase price. Lots of great submissions in last Friday's freshman name contest. Let's catch them in a rundown. Jurickson Profar, Rangers INF (Night Owl) -- a man of in-game strategy! 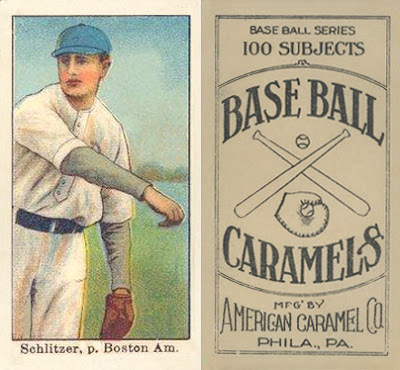 Every one of these entries meets or exceeds my personal baseball name standard-bearer, Biff Schlitzer. 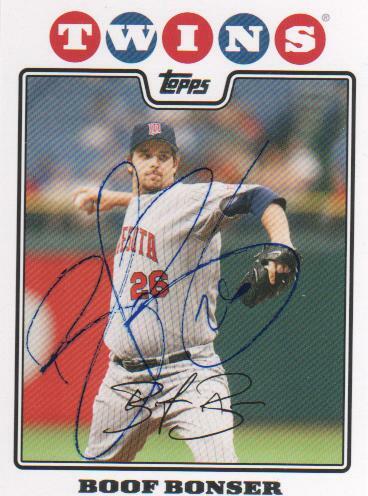 Greg Z, Buckstorecards, Madding, Night Owl, Mad Guru: send your preferred vintage team and mailing address to glidden period matthew at gmail! Thanks to all for reading and kicking in so many great names. 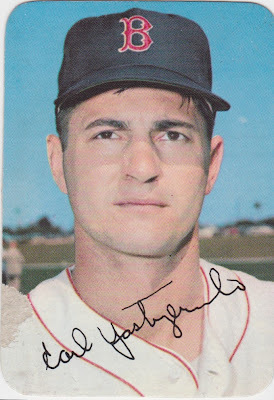 Now that we're safely into September, it's time to discuss one of my favorite baseball things, player names. Each new roster expansion means tons of new players in MLB uniforms. 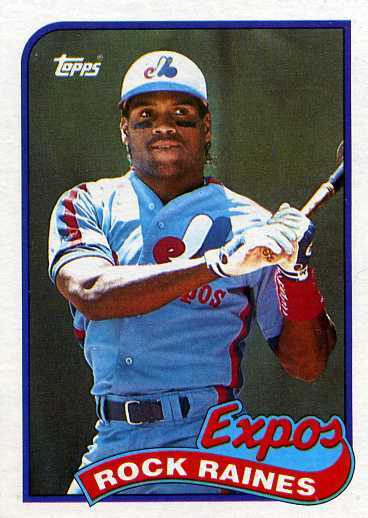 Long-term fans probably remember guys like Chili Davis, Bump Wills, and Biff Pocoroba. More recently, there's this guy. So who are your favorite fresh-faced freshmen? WHAT TO DO: Nominate your favorite baseball name from 2012 rookies or September call-ups in the comments. I'll accept nom-de-plume-inations through Sunday and pick five Best New Name winners from all players mentioned. WHAT YOU WIN: Pre-1980 cards (team of your choice), as selected from my dupes box. Good Lucky Lohrke to all!